There’s singletrack gold in them there hills. And the main seam runs from Hepburn Springs in the north following Sailors Creek via Lake Daylesford and on to spectacular Sailors Falls in the south of Victoria’s restful Spa country. It’s a perfect place to mine for trail running riches. 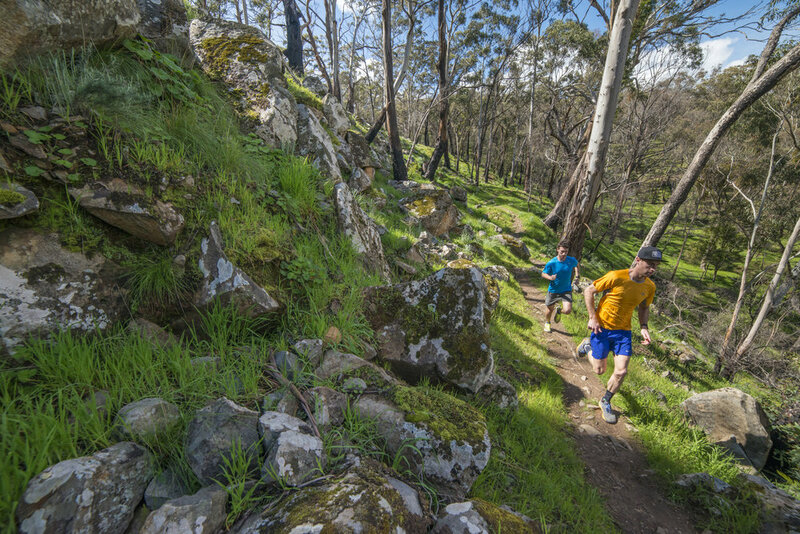 Linking two of the state’s most famous spa retreat villages in quintessential gold mining territory, the event features a highlight middle section of the Goldfields Track, a 220km trail linking Bendigo and Ballarat. A perfect weekend running getaway. 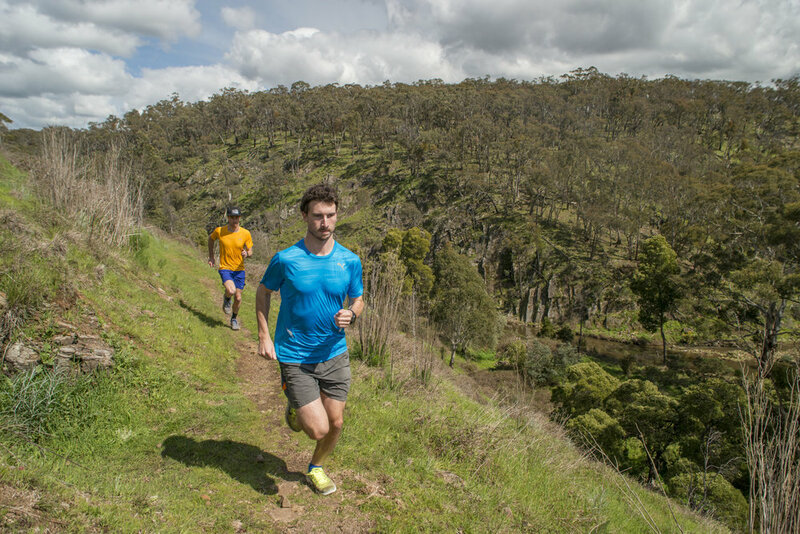 GoldRush features the 24km, 13km and the new 6Km. All are suitable for beginners through experts with some technical terrain but mostly just fun trails! We ask all runners to be familiar with the route/s! Goldrush is kindly hosted on the traditional lands of the Dja Dja Wurrung people. As organisers and participants we like to acknowledge that our event is occurring on Dja Dja Wurrung Country. Elders of the Dja Dja Wurrung community and their forebears are the traditional owners of this land and have been custodians for many centuries and have performed age old ceremonies of celebration, initiation and renewal. We note that the Dja Dja Wurrung gathered and managed this place for up to the last 60,000 years. We acknowledge their living culture and their unique role in the life of this region. Index of Mini Poster Series (contacts full individual posters on sheet or in FAQ).